Tiffany Santos, A+ Patient Services Specialist, is responsible for checking our customers in with a friendly smile, answering patient questions and phone calls and verifying coverage eligibility and benefits for patients according to their insurance plans. She also assists with keeping our lobby welcoming and comfortable for customers and our appointment scheduling running smoothly. 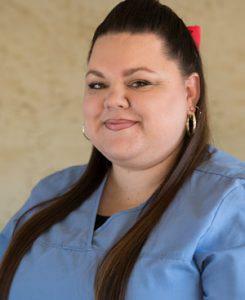 Tiffany has spent the past few years working at urgent care clinics where she enjoys caring for others. She lives in Elko with her husband and enjoys listening to music and taking family trips to the lake. 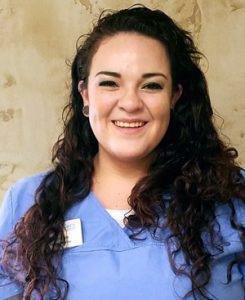 Letiscya Larios-Chacon is a Patient Services Specialist with A+. Letiscya assists with serving our customers with the check in process, running their insurance information, making appointments, and processing payments among other tasks. She has prior customer service and receptionist skills in the restaurant, gaming, and insurance industries. Letiscya moved from Las Vegas, Nevada to Elko with her 2 young boys and enjoys painting and reading horror novels.